Paul Murunga finally earned his first pair of wins as Kenya Sevens coach when the side soared to victory over Zimbabwe and Wales in the run up to the 13th place trophy that earned them three points from the Cape Town Sevens in South Africa. 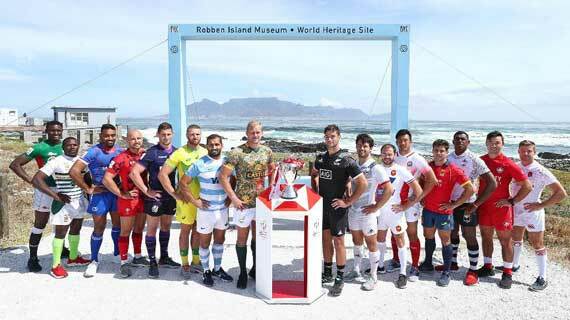 Having started the day with a loss to Argentina in the Challenge Cup quarters, the side dropped to the 13th placed trophy and they earned their first victory of the season with a win over Zimbabwe in the Semis before clinching the three points with a win over Wales in the final. Shujaa put in a shift against the Welshmen, clearly motivated by their win against Zimbabwe to win the tie 33-26. Johnstone Olindi crossed over for a hattrick with Cyprian Kuto and Leonard Mugaisi dotting down once each. Olindi dotted down within the opening minute, but the Welshmen drew level through Owen Jenkins. They then went up thanks to a super run from Tomi Lewis before Jay Jones added another. But Kenya ended the half on a high, Kuto clutching back a try for the Kenyans but the conversion went wide. Olindi nonetheless grabbed a quick two to complete his hattrick and Mugaisi completed the job diving across the line as Shujaa took a confidence boosting win. At the death, Wales scored and converted, but the damage was long done. Shujaa now shift attention to next month’s Hamilton Sevens in New Zealand where they have been pooled against Cape Town bronze winners South Africa, Scotland and France.